Comments: Portland food trucks! Classic American sandwich with a twist. 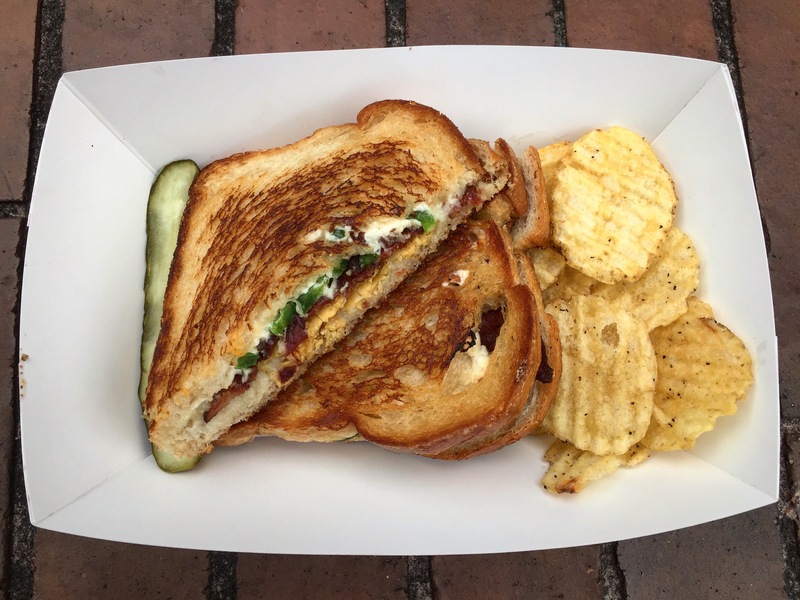 Bacon is crisp paired with tortilla chip crunch brings this jalapeño filled sando to life melted in tillamook cheddar. What you see is what you get, a safe bet when downtown food truck searching on Alder/9th St near O’Bryant Square.